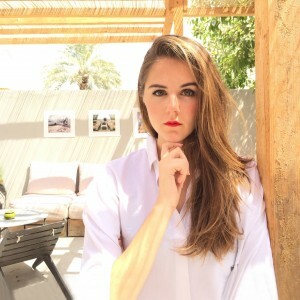 Is the UAE the Perfect Celebrity Instagram Backdrop? It’s no secret that the A-list loves the UAE. In the past few years, we’ve seen everyone from Gigi Hadid and Kendall Jenner to Karl Lagerfeld and Chanel Iman running through town. More recently, however, we’ve watched as the city has been practically taken over by actors, professional athletes, models, and musicians. In fact, 48 hours into Eva Longoria’s trip to Dubai, the television actress got engaged to boyfriend Jose Antonio Baston during a desert safari. What followed? An Instagram post featuring Eva, Jose, and some beautiful sand dunes courtesy of the Liwa desert. And when celebrities aren’t getting engaged, they have no problem taking advantage of the Emirates’ shopping mall backdrop. Case in point? Floyd Mayweather splashed out a cool $1.1 million (AED 4 million) on a Hublot watch at The Dubai Mall during his most recent visit before heading to the Mall of the Emirates for a trip down the ski slope. Did he post about it? Of course he did. Abu Dhabi gets a lot of Instagram love too. A favorite of Tyrese (who seems to be spending most of his time in the UAE these days) and Victoria’s Secret beauty Candice Swanepoel, the city’s capital is the prime setting for some serious social-media moments. See for yourself by scrolling through the best celebrity Instagrams to come out of the UAE over the past few months, below. #EtihadTowers showed real love today…. Very organized and a full on amazing experience in so very grateful to His Highness Sheikh Suroor bin Mohammed Al Nahyan aka @suroormohd The greatest prison people live in, is the fear of what other people think…. #Message One day the world will finally see why I’ve been spending so much time here in the #UAE…: just know this…… I have never and WILL never get caught up in any mans life or lifestyle…. People that are successful are here to inspire you to reach and want to achieve MORE!!!!! Common sense would tell you that I couldn’t possibility be getting on a plane for 17 hours JUST a to hang out….. I have all the I could ever want and desire in America…… Not only do I love the people of the UAE I love the feeling I get when I come here….. Very significant deals and partnerships are taking place here…… Sit on your hands and watch the show…… My name is Tyrese “Vision Implementer” Gibson and when you are a man of substance with a mission on your mind you have to step out of your nest and comforts of being home…… Be willing to walk into unfamiliar territories to accomplish your vision, dreams and goals……… Of course I don’t have to explain anything…. I’m aware…. But just know… For those of you who don’t know…… To God be the glory for ALL the things that he continue to do….. I wanna remind you that “This is the SEASON for GOOD PEOPLE with good intentions towards others to win”….. #VoltronEntertainment #VoltronChairman #TeamVoltron is about to OWN #2016 you go ahead and keep fighting for pocket change……. And watch me and my team #ChangeTheGame #Determined #Driven #NoPrideNoEgo just #Results #VisionaryLifestyle #BoldlyWalkIntoTheUnfamiliar and you will be blessed…. #Inshallah life changing news coming!!!!! Making friends in Abu Dhabi ??? ?